Removing your mattress and box springs in Tampa can be difficult, but when you factor in that you will have to navigate the busy area traffic with a mattress atop your car, it can become quite nerve racking on even the best days. Make it easy on yourself and contact Mattress Disposal Plus for your Tampa mattress disposal needs. Rely on Mattress Disposal Plus – a name you can trust for fast, friendly and secure Tampa Mattress Disposal. Are you planning to move in the Tampa area? Then perhaps, it’s time to consider getting help moving your old mattresses, box springs and used furniture to make room for the new. 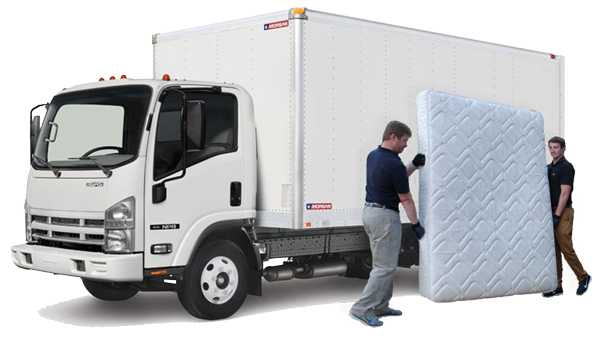 Hire a professional hauler to help you out with mattress disposal in Tampa. It may seem minor, but the proper handling of disposal and recycling can have a huge impact on the environment in a city like Tampa. At Mattress Disposal Plus, we take recycling seriously, specializing in recycling and disposing of used mattresses and other furniture. Call (877) 708-8329 or Book Online to schedule Tampa mattress disposal today. One of the best guarantees that Mattress Disposal Plus has to offer in Tampa establishments is the quality and efficient job that they do when it comes to Tampa bed disposal and Tampa bed recycling needs. Many people who are seeking out such services turn to us because of our proven credibility and experience. Want another bonus? Tampa mattress disposal has never been this easy. The company offers online transactions and appointments which mean that you can have everything scheduled digitally, no need to look for our office. All you need to do is give us a call or book online today and you’ll be good to go until we arrive for your scheduled appointment. If you are looking for convenient and easy mattress and furniture removal that is kind to both the environment and your wallet, contact Mattress Disposal Plus. We can help with all of your Tampa mattress disposal needs. No need to turn to other companies because customer satisfaction is our main aim. We provide the best old furniture and old mattresses removal deals and services to all areas in the Bay including but not limited to Hillsborough Bay, Old Tampa Bay, Middle Tampa Bay and Lower Tampa Bay. There are a lot of great things about living in Tampa. However, big city living can be difficult too — especially when it comes to moving or disposing of mattresses and large furniture.